Last week, I shared with you the fourth step in this series: How to Become Recognized as THE Cosmetic Dentist in Your Community Part 4: Effective Use of a Smile Analysis Form. You’ve likely heard the expression, “Image is everything.” Well, this is especially true in a cosmetic-focused dental practice. 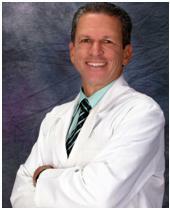 What your office looks like sends a message to your patients about the type of cosmetic dentist you are. Realistically, we all know that the office atmosphere has nothing to do with the level of clinical skills, however it’s the patients’ perception that matters the most. That perception could inevitably influence their decision of accepting cosmetic treatment. What type of artwork, posters or other silent motivational tools relating to cosmetic dentistry do you have in your office? Are they of smiling, happy folks who project self-confidence? 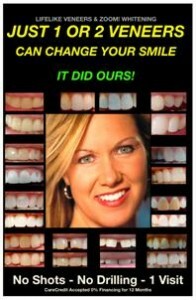 Do you have a few before/after posters that demonstrate dramatic smile transformations? Even upscale offices can place effective materials that help educate and distinguish the cosmetic component of your dental practice without impacting the overall appearance of your office. My suggestion: If you are married to your artwork and do not want to make any changes, let’s look at augmenting what you have. When you send me a few photos of your reception area in jpeg format that I previously offered (in Step 1) make sure I can see the artwork and where you may have some barren wall space. While we do not want to have clutter, we may want to look at creating a Smile Wall that silently motivates your patients. 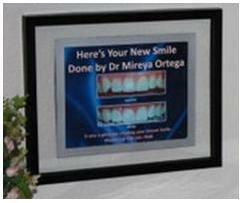 Another example is from Dr Mireya Ortega, a very talented dentist from Lake Tahoe, CA. Dr Ortega had me visit her office and do a Cosmetic Dentistry Boot Camp Program for her practice because she wanted to take her cosmetic practice to the next level. One word of caution: Creating a Smile Wall will be most beneficial when you use these tools as a spring board to power educate your patients about how recent advances in technology can benefit them. Please review the articles I have published in Dental Products Report or in Dentistry Today if you care to learn more about how you might accomplish that goal. Step 5: WHO’S YOUR SMILE CONSULTANT?